Are you looking for a venue for your next event? Lindsey's now offers a 24 seat private event space that is currently available for reservations. Enjoy the incredible menu offerings from Lindsey's or take advantage of a personalized menu for your event in a private room for an intimate setting with superb food. 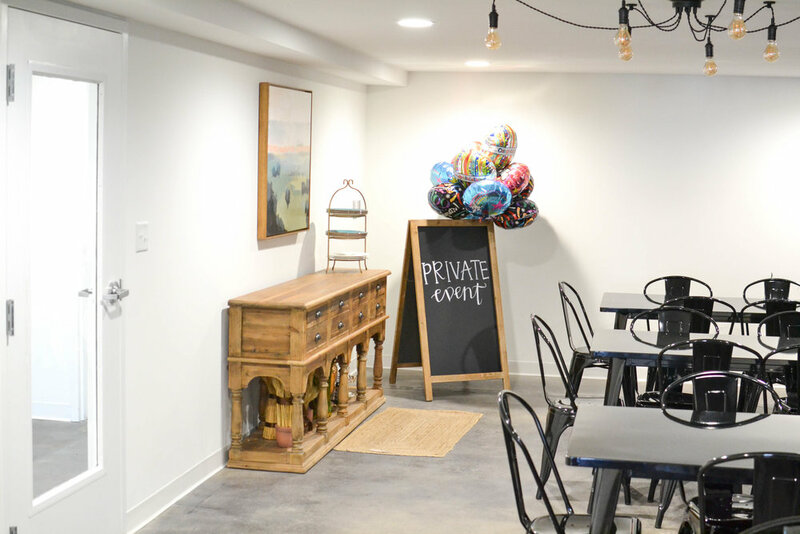 Share your birthday, graduation, or any other special event in a private space with the incredible menu offerings from Lindsey's with your family, friends, and, even, business associates. Lindsey's private event space is perfect for all of your party planning/business luncheon/family dinner needs. Please contact us at lindsey@lindseysculinarymarket.com to book your event.